Unwrapping the four inch cube, looking at the sterile white box with the superimposed black apple-ish writing, a sense of wonder sent waves cascading down my body – how could a TV be within this teeny, tiny box? Out of the box it came, the actual size somewhat akin to a couple of stacked IPhones. I plugged in the HDMI cable (bought separately) to the 50 inch plasma TV, along with the power supply, and turned my new Apple TV on with the supplied Nano-sized remote control. 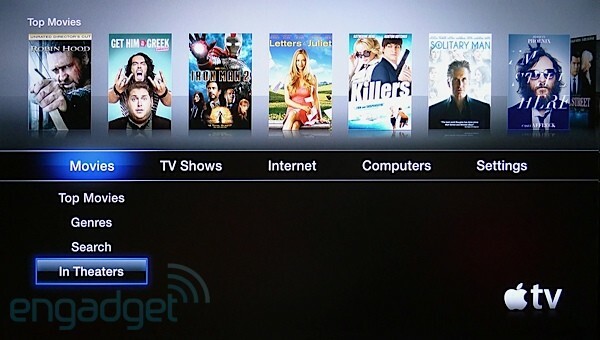 A couple of prompts apeared on the TV, which were quickly filled in using the remote, and voila, Apple TV was WiFi alive and ready to be used (http://www.apple.com/appletv/). My ITunes Library is a full one, having taken over 6 or 7 years to accumulate. I added that library to the Apple TV and it was now piping through my stereo system. I continued to peruse the other menu options, including High Definition YouTube entries, which hummed like a kitten out of the speakers while displaying the best picture quality available. The search feature using the supplied remote control was clumsy and I immediately thought that there must be a better way, which there was, and an update had just been released: (http://www.engadget.com/2010/09/28/apple-remote-app-2-0-adds-support-for-new-apple-tv-ipad/)“. I downloaded this app to an old ITouch to be kept next to the TV and we now had a super slick, quick way to move through our ITunes catalogue, YouTube, or Movies. Having heard much about NetFlix, I was happy to find that the first month was FREE and that each month thereafter was ONLY 8 dollars for unlimited movies! Once I had set up the NetFlix account on my laptop, I was prompted for the username and password and POW, streaming movies – thousands of titles including TV shows, old and new alike. If I had opted out of the NetFlix subscription, Apple TV has hundreds of movies and TV shows available from 99 cents to 5.99 each. 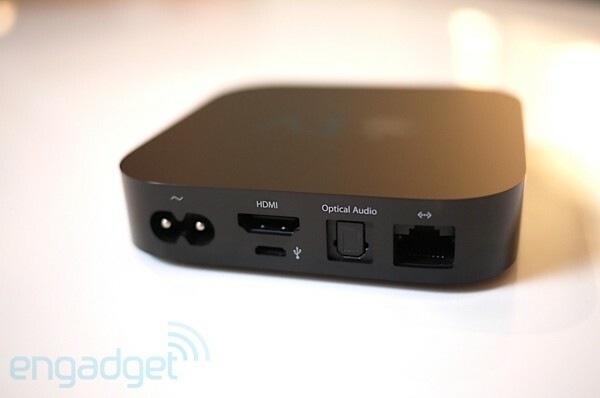 YouTube’s ever increasing supply of FREE podcasts in HD, also make the grade with this device. Whether it is daily Yoga (YES!!) or the latest CNN news, the podcasts are high quality, up-to-the-minute and relevant to your daily routines. The biggest plus of the Apple TV (imho), other than the incredibly easy set-up for which Apple has become legend, is the price point! At 119 dollars in Canada, it is an easy way of converting your TV in to an internet based computer. Some people love to have their laptops hooked up to the TV, but to me, that is clumsy and results in one of the laptops of the house being taken out of service. 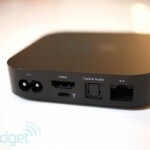 With Apple TV, you have everything in one easy to use interface, which is worth the price of admission, and is definitely worth the Bite of the Apple! Enjoy. And Steve Jobs, please keep tempting us with more! This entry was posted in Tech Savvy and tagged Apple, AppleTV, ITV, TV. Bookmark the permalink.